Whole grains, seeds, and that’s about it. What’s not? GMOs, gluten, and artificial flavors. 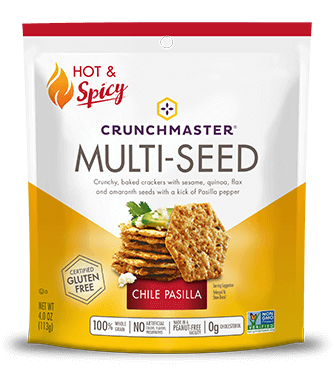 Crunchmaster crackers are down to earth, just like you. When it comes to good food, simple is often best. 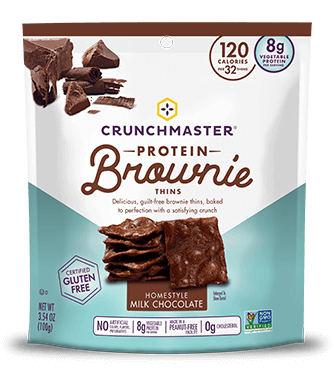 Crunchmaster crackers are gluten-free, non-GMO and Kosher, and many flavors are free of common allergens like eggs and dairy. The crunch is carefully crafted. 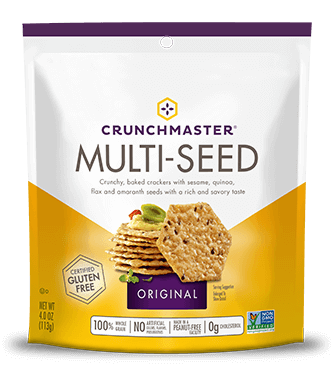 We found inspiration for Crunchmaster crackers in the traditional Japanese rice culinary style called “Usuyaki.” We start with pure, California rice, add seeds and other better-for-you ingredients that fit perfectly into your lifestyle, dry them to a precise moisture and bake in the goodness. Protein-packed crackers for on-the-go snacking.